Serpentine sospensione – a curved beauty! The Serpentine sospensione from Fontana Arte lives up to its name: The pendant light is curved just like a serpentine in the mountains. This harmonic form gives the lamp by the Italian manufacturer a very pleasant appearance. It will be a modern element that harmonises with every modern room. Besides its pretty outwards appearance Serpentine sospensione wins with its technical features. 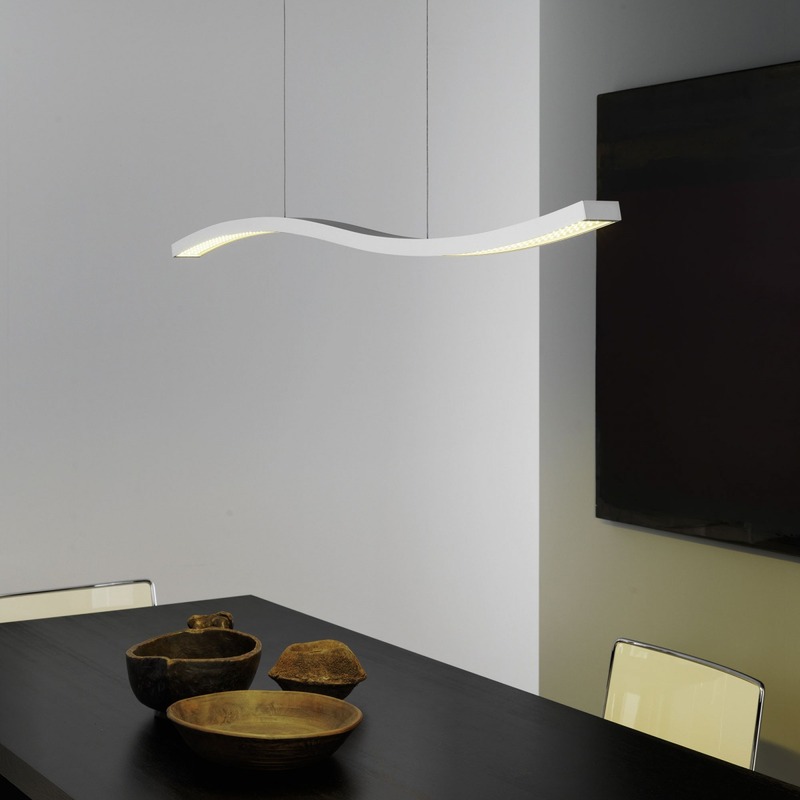 The contemporary LED-technology lets this Fontana Arte pendant light not only be a highlight of powerful illumination but as well of energy efficiency. 270 LEDs provide a magnificent illumination with a pleasant light temperature of about 3300 Kelvin. Modern design and advanced technology – that is the Serpentine sospensione by Fontana Arte.